I’ve had a lot of jobs. One of these, back in my student days, was working as a Chef in a Care Home. Of all the jobs I’ve had, it was definitely one of the better ones. The residents all were all so interesting, in their own ways – but unfortunately, I can’t say the same about the food. Lukewarm spaghetti hoops were no reflection on my cooking skills, it was just what I was given and told to serve. Jelly, you’d think you can’t really go wrong with. But eating jelly all the time? Well, that gets a bit boring. Sunrise Senior Living is a bit different though: with Creme brulee, Fillet of Sea Bream with Salsa, Smoked Paprika and Red Onion Chicken being on offer for example, there are lots of different – and far more interesting – options available. Sunrise’s award winning chefs came up with these recipes, all of which are served in their luxury care homes, and it goes without saying I think my chefing experince would have been a lot different had I been working there instead! 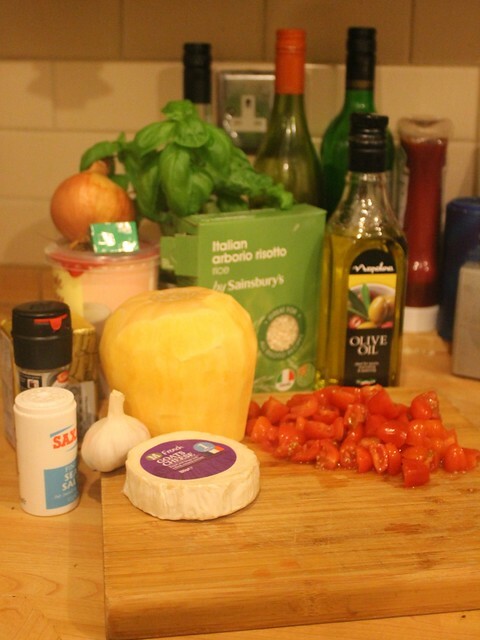 BUT I do still have my own kitchen, and my own small children clamouring to be fed, so we decided to give the Tomato and Basil Risotto recipe a try ourselves. The risotto calls for a reasonable number of ingredients, but none of them are particularly onerous and preparing them didn’t take long. I have to say it did smell lovely whilst it was bubbling away in the pan, and once it was ready I was definitely looking forward to tucking in. In fact, so delicious that we’ve since made it again, a week later. The fresh basil and tomatoes, alongside the texture of the rice and the creamy goats cheese is a winning combination that we all very much enjoyed. The kids still do like a big bowl of spaghetti hoops. 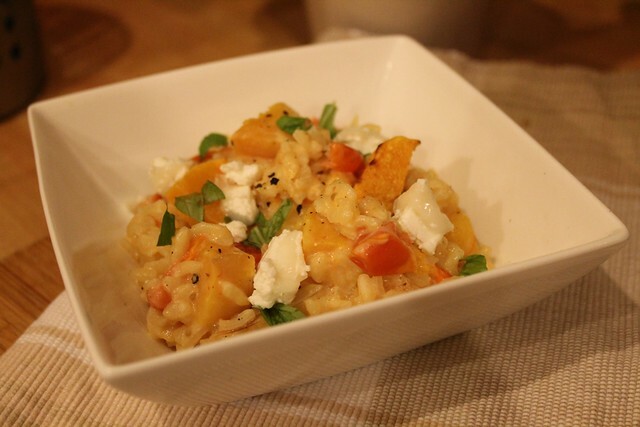 But risotto is now definitely on our future menus too!